As close to reality as your iPhone allows. There is often a substantial difference between a scene as we perceive it and the same scene as we capture it on photo. The mechanisms behind our sense of vision are very complex and refined: the eyes are like sensors and most of the actual decoding of what the eyes detect is done by the brain. The way we see is something that even the most accurate and up-to-date cameras can sometimes fail to reproduce. Orasis, from the term Ορασις that simply means “vision” in Greek, brings to iPhone the processes that our visual system follows to see the reality around us. The app is based on a research of the Electronics Lab of the Democritus University of Thrace. Pictures taken or loaded to the app pass directly through the Auto processing. If the first processing is not satisfactory enough, you can tweak further by using the Manual mode. Manual settings are very simple to work with and they can significantly improve results when Auto mode doesn’t succeed in conveying what you are expecting. By moving the slider knobs for bright and dark areas balance, you can bring back relevant detail that appeared to be lost in the original shot, either in highlights or in shadows. The original shot is always viewable for comparisons. 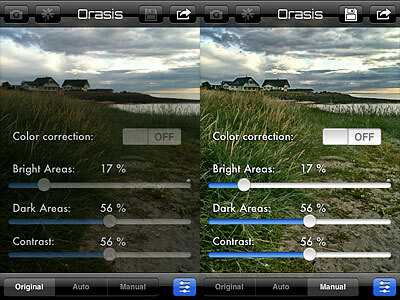 Orasis is able to perform well only in cases where the original shot still contains all the required information. This doesn’t depend on the the app, but on the camera’s capabilities. As the in-app guide rightly states, there is no software that can recover data from pure black or pure white areas. The only thing that looks a bit off in Orasis is the color correction. In photos I have used for testing, colors are always closer to the original scene with the correction turned off, while turning the feature on often gave me a slight color cast (blue or magenta, mainly). Orasis is very different from fake HDR, as its results look definitely more natural than those provided by most apps imitating HDR effects with a single shot. In general, most photos edited in Orasis are greatly enhanced; at the same time, enhancements are subtle enough not to make photos look overly processed and unreal. Also worth mentioning the fact Orasis doesn’t increase digital noise and it doesn’t perform destructive sharpening on photos. Given both the extreme simplicity of this app and its impressive results, Orasis is a great tool to help you fix issues with badly exposed photos. Don’t expect miracles from the app though: your perception is still better at “seeing” reality than your iPhone. 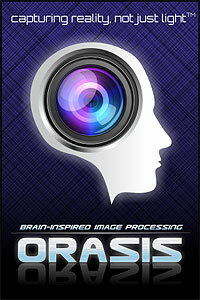 The developer of Orasis kindly provided us with a promo code for reviewing purposes. 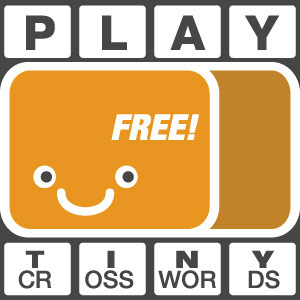 Compatibility: iPhone, iPod Touch, iPad . iOS 3.2 or later. Nice! 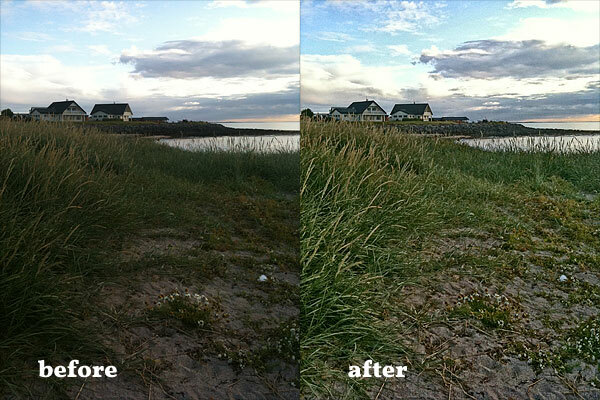 Those people really deserve the credit for their hard work in creating a really, really awesome color correction app. Well done. I have tried most fake HDR apps and none seemed truly great. Most actually made me go “hmm”. I am not a great fan of HDR and for this reason I would only be inclined to use it when it is absolutely necessary. All those sh*tty effects done in HDR and fake HDR make me choke. Sadly iPhone in some lighting situation is crap and you have no other choice. I will take a look at this app since its effects look more reasonable. I used to want all my pictures to be as real as possible to the eye. Zilch all the filters and hello digital processing. Then again, there’s more than meets the eye and I’m now looking forward to any photo concoction! Next post: 8mm HD on Sale!